If you do not want to go out at night, you can dine there. A convivial evening with family or friends! You want to make a pierrade, a raclette * or a fondue *, we provide you the devices, without supplement. You have, in the living room , a kitchenette with a sink, a dishwasher, a refrigerator, a microwave, a stove, a kettle, a coffee maker. We provide you plates and cutlery. These services are included in the price. 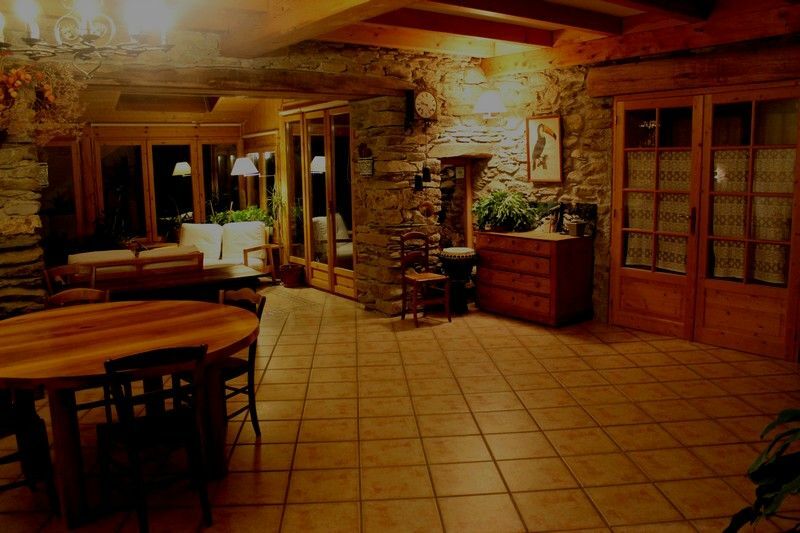 At La Laiterie du Center , in Allevard, you will find excellent products at Thierry and Florence who offers, on order, the raclette platter, cheese fondue with three cheeses ... Do not move ....! Delivery is assured to your table! You can order by phone ... To learn more and make your choice, click on the picture below. "A rare welcome and professionalism." 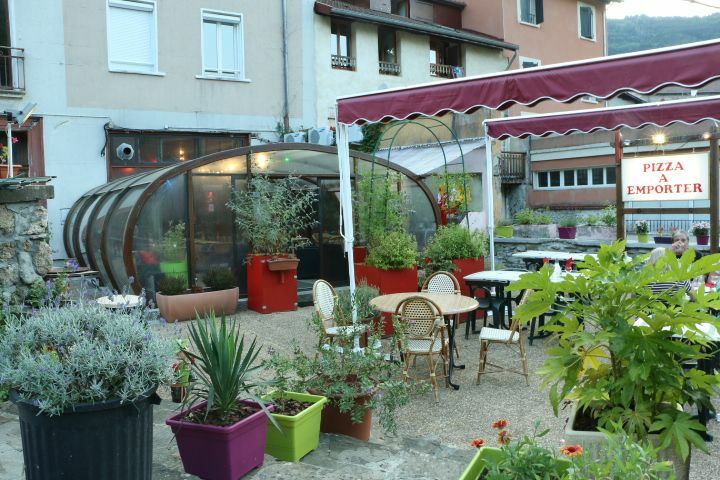 La Laiterie du Center, located in the heart of the city center of Allevard-les-Bains, 5 minutes from us, offers a wide choice of regional products; cheese, charcuterie, rich and varied delicatessen and wines from harvesters. 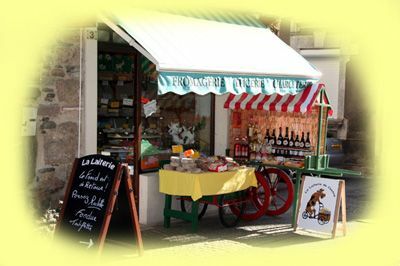 Located in the center of Allevard-les-Bains, the 'Laiterie du Center' offers a wide range of top quality regional products: cheese, sausages and other pork products, delicatessen and gourmet food to Saturday: 8: 30-12: 15am and 3: 00-7: 15pm - Sunday: 9: 00-12: 15am - Closed on Monday and Sunday afternoons. The restaurants 15 minutes from our bed and breakfast. The restaurants near our bed and breakfast in Allevard.  The gourmet restaurant La Tour des Sens in Tencin, just 15 minutes from our bed and breakfast. "Chef Jérémie IZARN, winner of Top Chef 2017, welcomes you to his world." 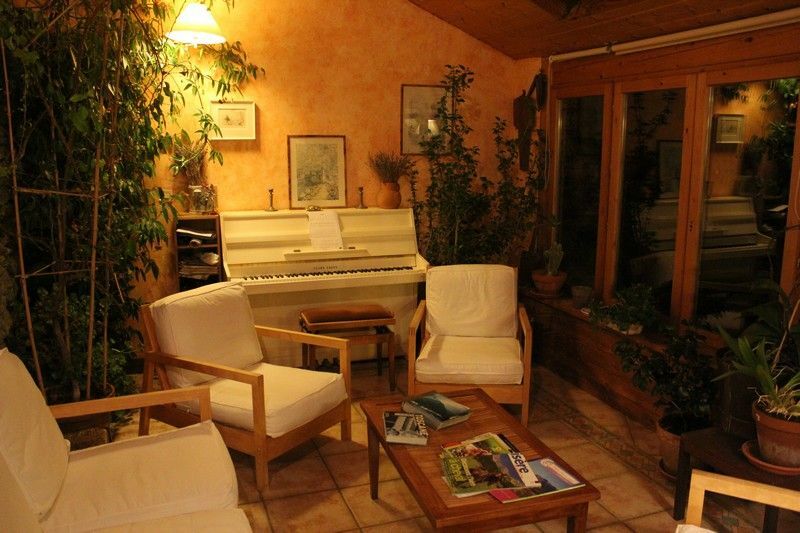 next to Montmélian, a few kilometers from Chambéry (Savoie -73) and near the motorway to Grenoble 15 minutes from our guest rooms. "The Restaurant The K'Ozzie is pleased to introduce you to a" cuisine of instants ", tasty, made with fresh products, carefully selected from local producers and modified regularly, throughout the seasons. Bib Gourmand: Restaurant selected by the inspectors of the MICHELIN guide for its very good quality / price ratio. Meal without drink less than 32 €. If you wish, lunch or dinner nearby, we advise you to book at one of the addresses below, 5 minutes from us. The restaurants near our bed and breakfast. Traditional Chinese and Vietnamese cuisine. This traditional Asian restaurant offers both on-site dining and take-away. Friendly and warm atmosphere from Tuesday evening to Sunday evening (closed Monday to Tuesday morning). For any reservation or takeaway order call 04 76 45 85 09 . 2 lunch formulas at 12.90 € and 15.90 €. 10 Rue Etienne Tallard in Allevard les Bains 38580. A nice place, warm and welcoming. Terrace by the water, bright veranda. Do you like pizza? You will be served! The products are fresh and quality. An Allevard address to discover without restraint! Pizzas to take away. Every day, except Tuesdays. Opening hours: 12h -14h / 18h - 22h. To reserve your table or order: 04 76 97 59 49. You order at 18:30, within 30 minutes, your order is ready to be picked up on site at Allevard and to be tasted at home! "For a reservation or more information, contact at 04.38.92.12.16. 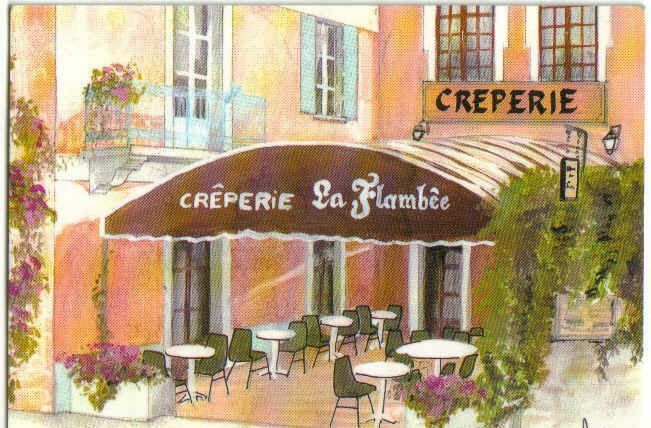 6, rue des Thermes 38580 Allevard. Open all year, reservation recommended. 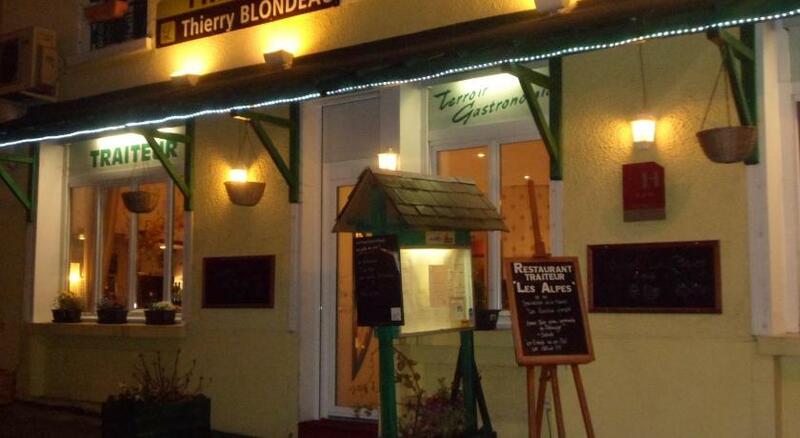 Thierry Blondeau and his team will welcome you at the Hotel "The Alps"
In the evening, minimum order: Starter + main course or main course + dessert. To honor the culinary tradition, all dishes are cooked by the minute. Please specify that you come from the cottages at Au Vieux Four à Pain.